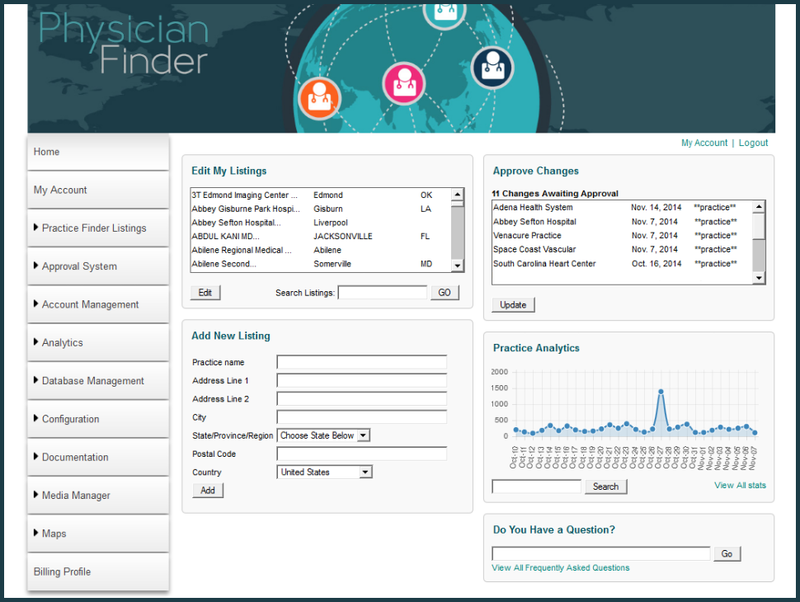 The Body1 Physician Finder System (PFS) is the best physician locator currently on the market. Whether you’re a pharmaceutical or medical device company trying to connect patients with your customers, an insurance company helping patients find doctors covered by your insurance, or a hospital sharing your doctor directory with patients, PFS is a perfect fit for you. Advanced search options that allow patients to search doctors by location, specialty, insurance accepted, certifications, gender, and more. A hierarchy system that allows you to rank physicians by any criteria you choose, including patient reviews, publications, and board certification. 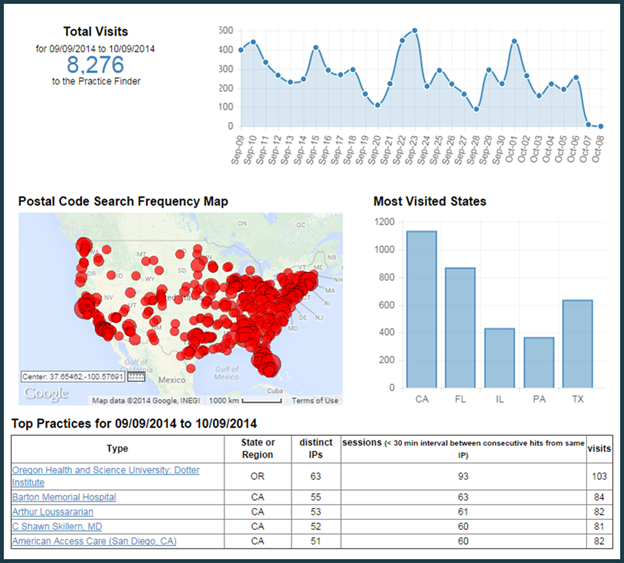 Integrated maps for both individual practices and all physicians in a specified area. Both international and local options. 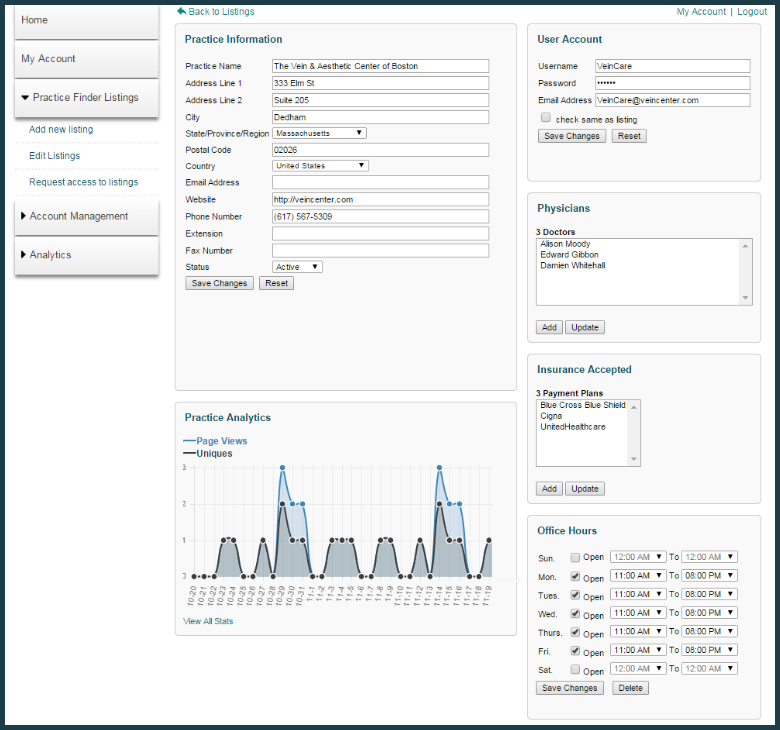 Personal, editable pages for all physicians and practices in the system. Easy installation on any website. 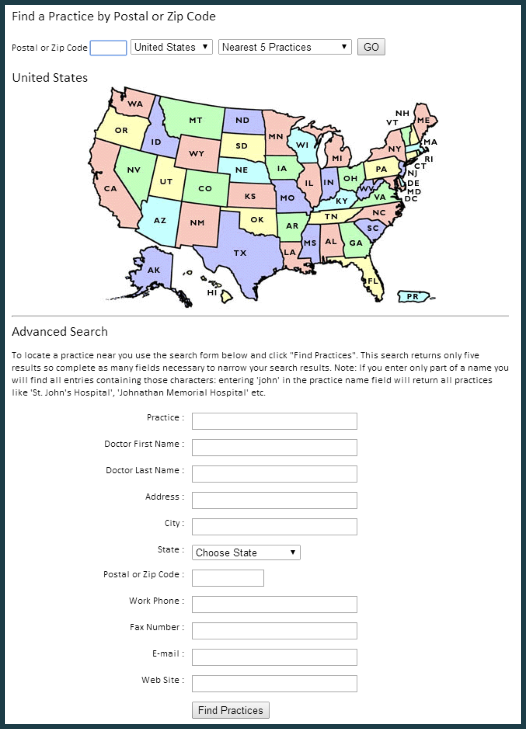 A search widget that can be placed on social media sites, in advertisements, or on blogs. 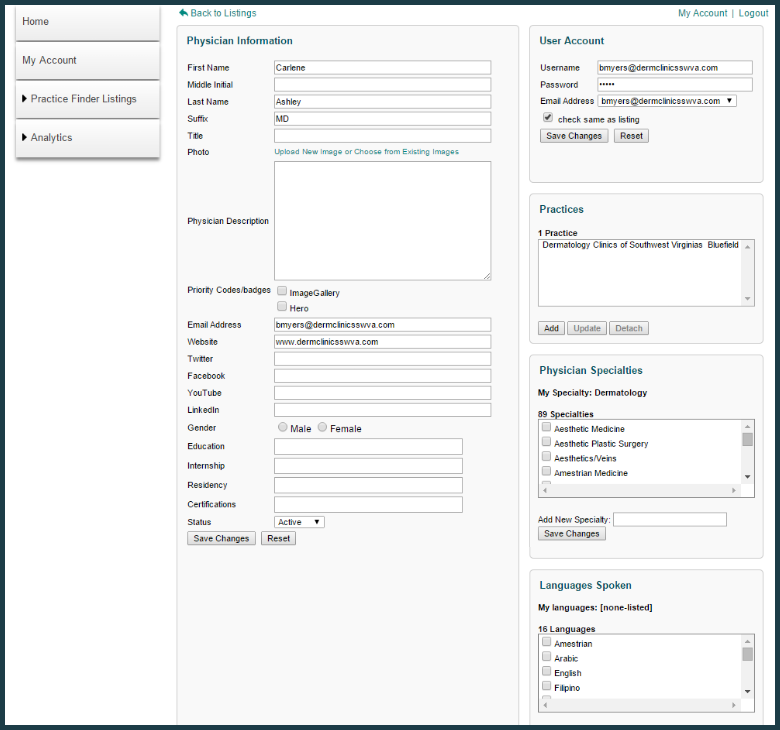 An easy-to-use, password protected content management system (CMS) with multiple administrative levels—including levels for physicians to edit their own practices, sales reps to edit the practices they work with, and administrators to edit all practices. Detailed analytics that track page views, unique visitors, sent emails, contact information downloads, and clicks on websites, directions, and more information. 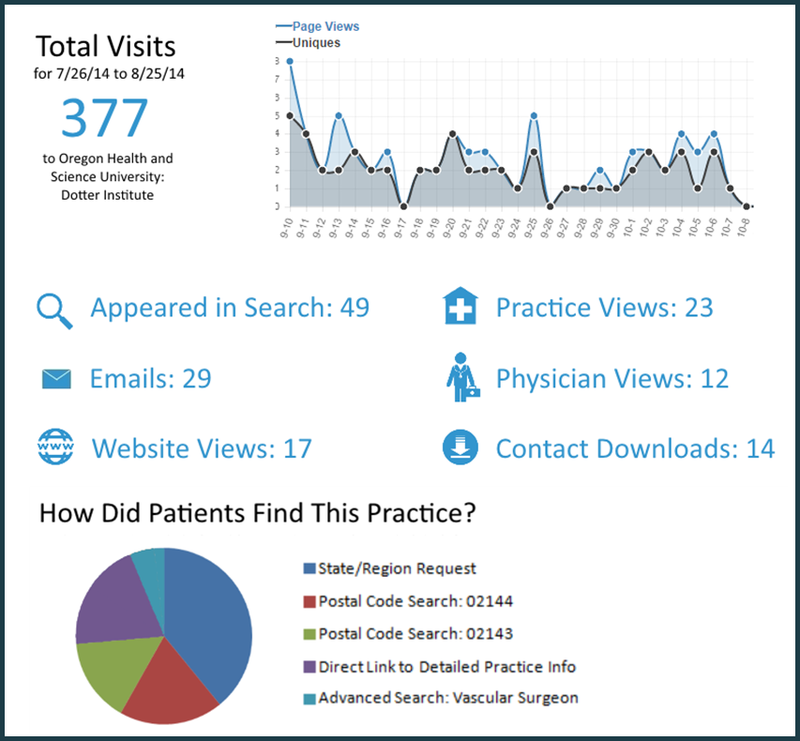 Automatic emails sent to sales reps and doctors telling them how many visits their practices have received. 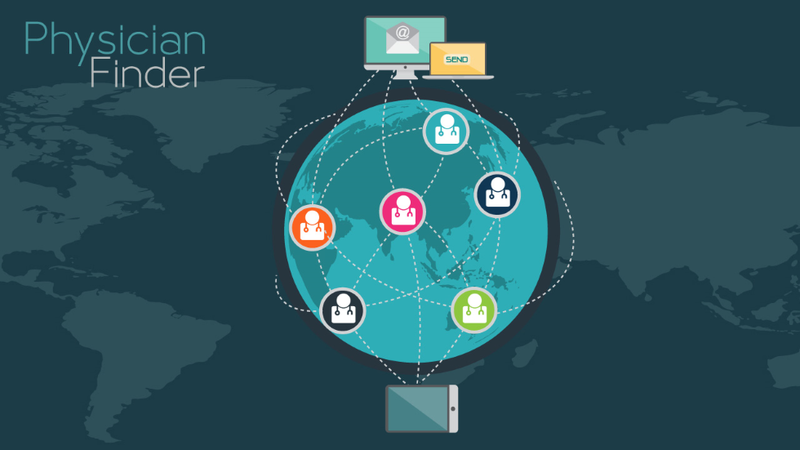 Integration with CRM systems such as Salesforce.com, Oracle, and SAP. The PFS is a fully customizable, cloud-based system that can be easily added to any website with just a few lines of code. All programming updates are made on our end, without any additional work needed by your team. 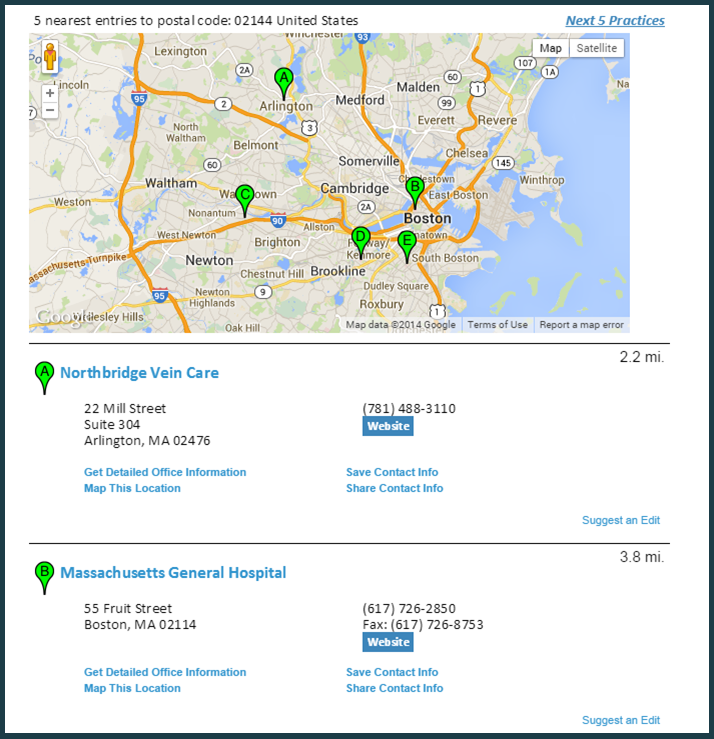 The Physician Finder system is free to test. Access to the code for testing can be obtained here. Pricing is affordable. There is a small, one-time set up fee, priced depending on the level of required integration with CRM systems and the complexity of the website embeds. 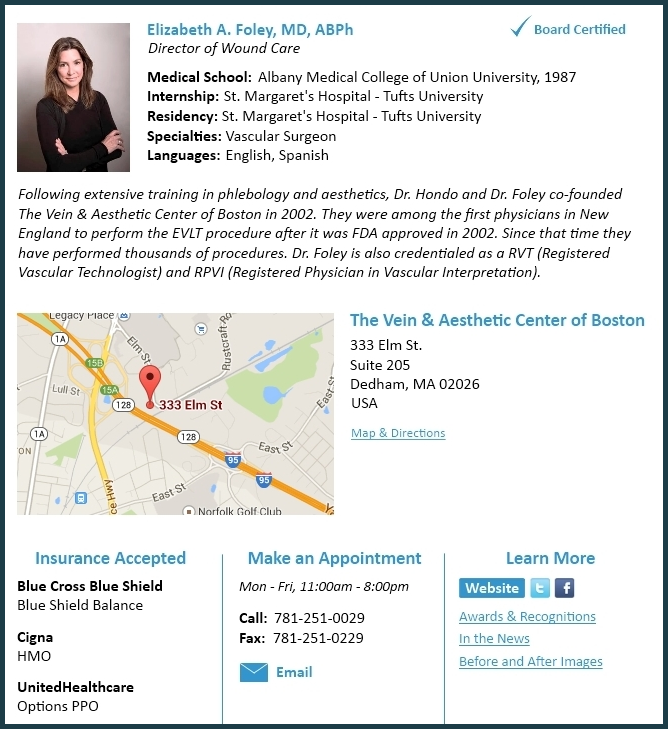 In addition, there is a small, monthly fee based on the number of practice or physician entries. 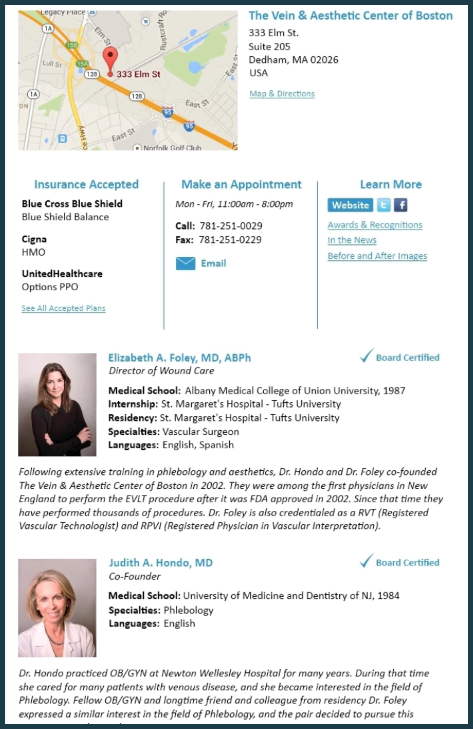 For more information on details, pricing, or to set up your physician finder system, please contact us.